If you are thinking about replacing your air conditioner, there are many aspects you should consider before you buy. If you are ready to beat the heat with a new, efficient unit and have been searching high and low for the right option, here are a few tips that might help! Control Availability – If you’d like to have a communicating system, be sure to inquire about the features of the equipment before settling. Many of the newer systems include a programmable thermostat with adjustable control of your home's temperature, no matter where you are. Energy Usage – Many A/C units, like our Trane XR16, have a high SEER rating, which makes it more efficient than many other models on the market. Check the SEER rating on your system with a sales professional to gage a systems energy efficiency before deciding. Dual Duty – If you are not aware, many A/C units are great at doing more than just cooling the air. By pairing a new air conditioner with the whole-home air cleaner, like Trane CleanEffects, you can remove over 99% of airborne allergens floating around your home. Size – Be sure the size of your system is effectively proportionate with the size of the space it is occupying. If you are questioning the suitability of your unit for your home, ask a service professional to assist you with a free in-home estimate. 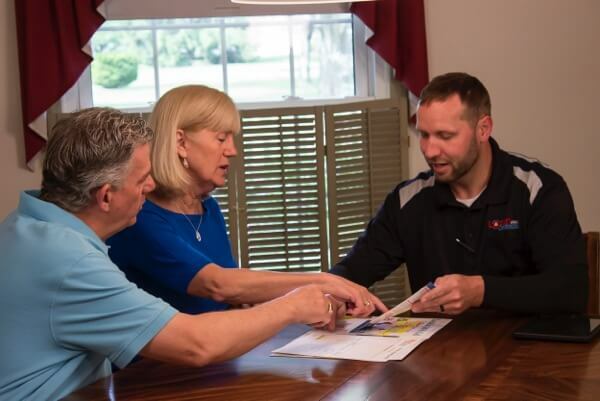 If you need assistance to ensure your new cooling system is the best fit for your home and family, call Logan Services today. We look forward to serving you!